We have two large 19 hole courses with enough places to rest underneath the big trees and sunshine. Putters from 1 year old to adults is available for everyone to play. Tickets is for 3 rounds and 19 holes per round and is valid for 1 month from purchase date. 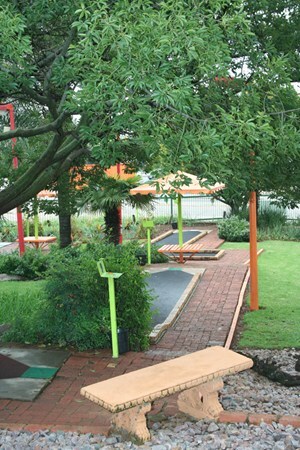 We have 3 separate venues available for parties and playing unlimited putt putt. You are allowed to bring your own cake, cold drinks, snacks, party packs etc. as well as your theme for your specific party.